September is dedicated to introducing yourself to Young Living frankincense essential oil—the oil for promoting healthy skin and increased spirituality. Frankincense (Boswellia carteri) essential oil is used to support skin health. Its earthy, balsamic scent has calming properties that can increase spirituality and inner strength. Useful for visualizing, improving one's spiritual connection, and centering, it has comforting properties that may help focus the mind and overcome stress and despair. Frankincense is considered the holy anointing oil in the Middle East, where it has been used in religious ceremonies for thousands of years. More recently, it has been used in European and American hospitals. The purity and potency of Young Living frankincense essential oil is all about the sourcing. Last year, Young Living Founder Gary Young explored the Middle East and Africa in search of the best frankincense available. On this journey, Gary and his team visited Young Living frankincense supplier’s harvesting and distillation operations and were able to verify, through observation and testing, that Young Living’s frankincense is one of the best true frankincense oils in existence. Apply 1–2 drops to your face and neck daily to help repair sun damage, renew healthy-looking skin, and to minimize oil production and breakouts. Drop on to minor cuts, scrapes, and bruises to reduce redness and discomfort. Massage several drops on your temples or back of your neck for stress relief. Diffuse to enrich prayer and meditation. 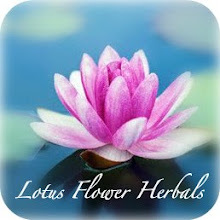 Inhale or diffuse to deepen breathing and induce calmness.